Dr. Kieran Ayre is a certified Thomson Reuters Expert Witness. With over thirty years of clinical, teaching and executive leadership, Dr. Ayre has been called upon to offer expert testimony requiring a depth of knowledge, sound clinical judgment, and testimonial presence. Dr. Ayre is a Licensed Clinical Social Worker and a Licensed Clinical Alcohol and Drug Counselor with 30 years of clinical experience working with adults, adolescents, couples, parents, and families. He has published numerous articles and papers and has lectured at both statewide and national events. As one of the most highly credentialed clinicians in the substance abuse and co-occurring field, Dr. Ayre is a recognized expert in the areas of co-occurring disorders, treatment, and alternative Substance Use Disorders (SUD) treatment approaches. In addition to his clinical practice, he is a professor at both Rutgers University School of Social Work and Rutgers University Center of Alcohol Studies. Dr. Ayre has extensively consulted, opined and testified in Matrimonial, Family, and Parenting cases. Additionally, he has offered expert testimony on Civil and Criminal matter where substance abuse disorders have been a primary or secondary factor. He is an expert in regulations pertaining to facility and procedure standards of care and best practices. 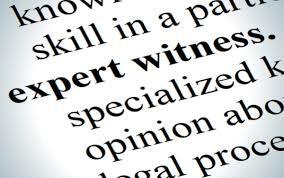 If you are in need of expert witness services, Dr. Ayre can provide quality, confidential, and expert assistance. Call Dr. Ayre directly at 973-670-3123, or just fill out the contact form and press Send.